I have a strong suspicion that Liverpool on a whole is a definite contender to Manchester’s Northern Quarter. While we have the likes of veggie and vegan heaven and enough brunch palace’s to shake a stick at, Liverpool seemingly has double. 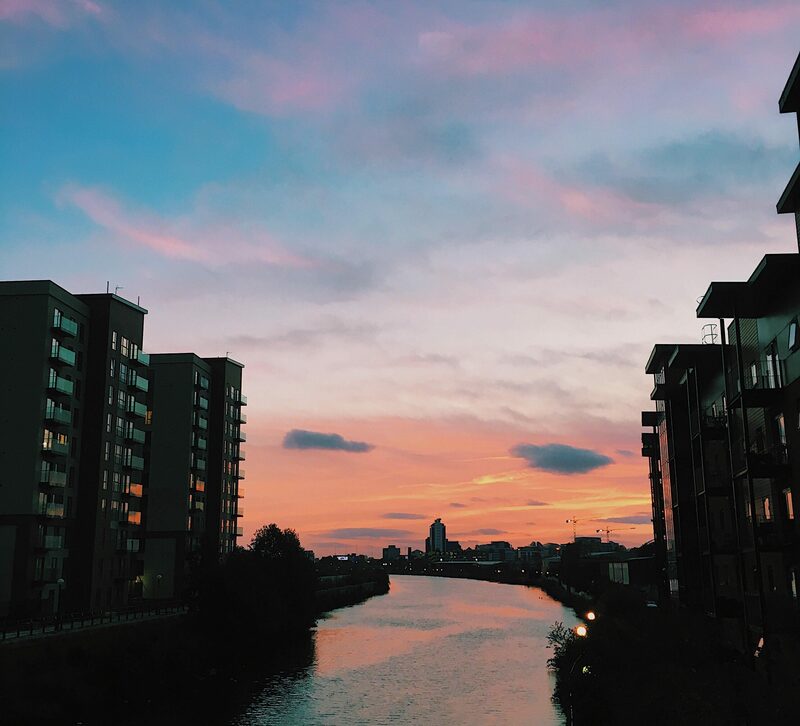 What else puts Liverpool’s foodie scene head-and-shoulders above Manchester’s is The Baltic Triangle – a hub of independent pubs, gorgeous bars, music venues and street food eateries. I recently trooped over to the Triangle, situated at Cain’s Brwery Village to sample the delights of Baltic Market. 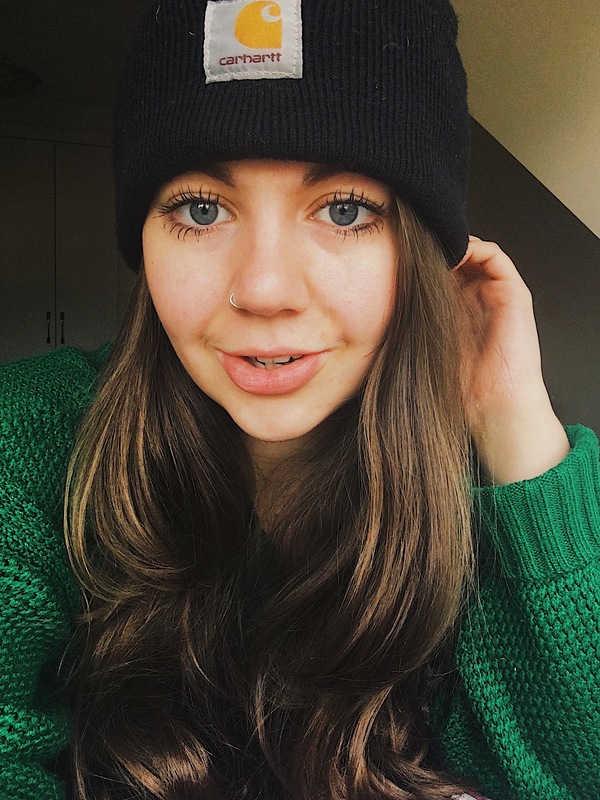 Baltic Market is Liverpool’s first ever fast-paced, buzzing and vibrant food market, marking it as the real heart of the Triangle. The brilliant building demands attention, receives it from the masses and marks itself comfortably as the star of the show. The market itself boasts a gargantuan Beatles wall mural (depicting George, Ringo, John and Paul looking dapper in their Lonely Hearts Club band uniforms); a fully-stocked bar seemingly offering the best of everything under the sun, and enough street food stalls (including Frijol, who deal in vegan tacos, Hafla Hafla, who make the best hallumi fries ever (!!) and The Midnight Delivery; a must for ANYBODY with a sweet tooth) to satisfy every possible craving. 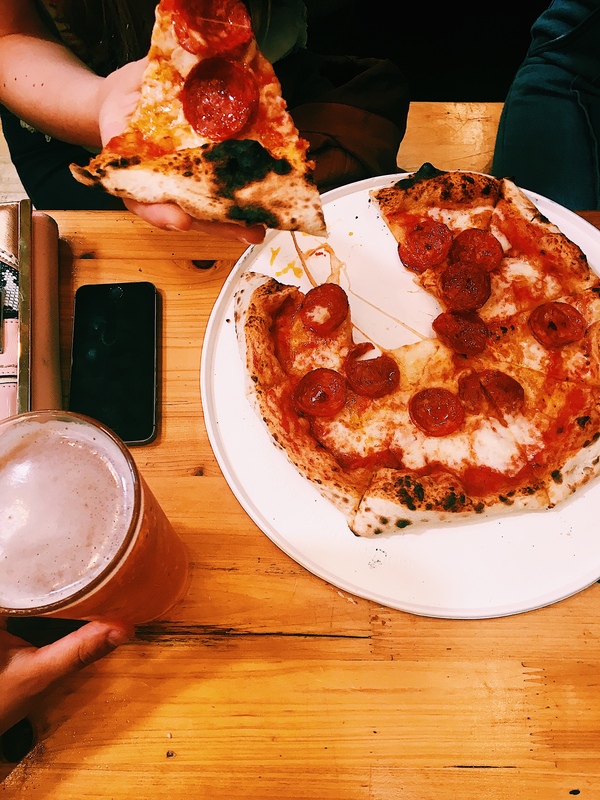 Guided by our prossecco hangovers, my friends and I opted for a good old fashioned pepperoni pizza from Little Furnace as our food of choice. 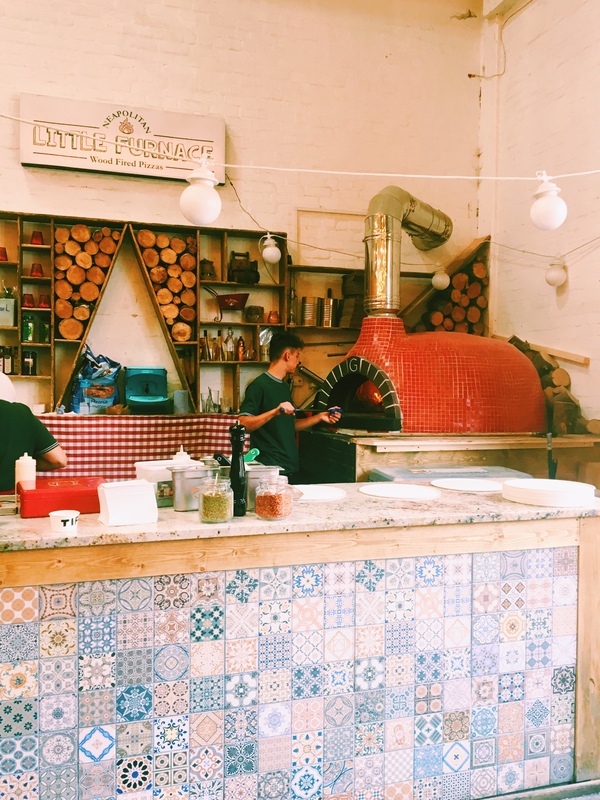 Baltic Market residents, Little Furnace, create moreish wood-fired, Neapolitan-style pizzas and garlic breads – marking them as THE ultimate indulgent Saturday afternoon food venders. A crispy yet fluffy base, stringy mozzarella and slightly-spiced, succulent pepperoni – Little Furnace had their trade nailed on this one. If you were feeling more adventurous than our delicate stomaches, you could opt for one of the Little Furnace rotating specials or the ham and portabello mushroom classic. If vegan is more your style, then you are in luck as the pizza creaters offer a dairy-free cheese too! As well as being Baltic Market residents, Little Furnace also have their own restaurant at 178 Smithdown Road. For native Liverpool dwellers, visitors to the city or pizza obsessors (myself included) this is going to be a must on your to-eat list. I can’t WAIT to get another slice of heaven. Baltic Market and it’s street food venders are situated at 07 Stanhope St, Liverpool L8 5RE.